Every year, hundreds of thousands of British people try to stop smoking. Although a number of them are successful, the majority of people will pick up a cigarette again within the first three months of stopping. Whilst the health benefits of quitting are numerous, a lot of people find that their cravings for nicotine are just too much for them to deal with, and they find themselves giving in. There are hundreds of different smoking cessation aids available for people to try if they are struggling to quit, however many of these aids actually have unpleasant side effects of their own. One natural approach that users can try is hypnotherapy. How can Hypnotherapy Help People to Quit Smoking? One of the biggest barriers to quitting smoking is overcoming nicotine cravings. It can be much harder to exert control over these cravings if you have developed bad habits and negative thinking patterns. For example, if a person believes that they will fail to stop smoking, they are more likely to fail. The purpose of hypnotherapy is to help people to overcome these barriers, so that it is more likely that they will be able to succeed. Sessions aim to help people to break their habits and think about cigarettes in a different way. Some people misunderstand ideas about how hypnotherapy works, because of the way that hypnosis is portrayed in popular culture. Many people believe that hypnotherapy will simply remove the desire to smoke from out of their head; however it is not as simple as this. People who respond well to hypnotherapy have to be open to change, and have to be willing to quit for their own benefit. Those who are being pressured into quitting by friends or family members are less likely to succeed unless they really want to quit. A typical session will involve using hypnotherapy tools to put the “patient” into a relaxed state. When people reach this deeper level of relaxation, they are more open to change and willing to consider new suggestions. Whilst the patient is in their state of relaxation, the therapist will find it easier to explore the patient’s attitudes towards cigarettes. They may be able to identify the main barriers that are preventing that person from quitting smoking. Once these barriers have been identified, the therapist will be able to work out a strategy to break these barriers down. These strategies can be as simple as getting people to associate smoking directly with negative things, whilst negating all of the things that users find pleasant about smoking. For example, they can give a patient the idea that they find the smell of cigarettes incredibly unpleasant. This can be done by asking the patient to think about a variety of unpleasant smells. That person may then come to associate the idea of smoking with all of these unpleasant smells. Is Hypnotherapy all that is required to Quit Smoking? Hypnotherapy needs to be combined with other techniques, including the need for strong willpower. 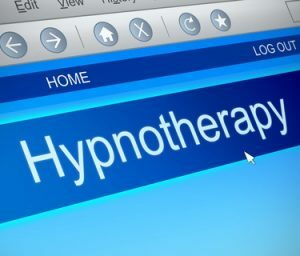 A good hypnotherapist will also be able to give their patients techniques to practice at home. The patient may be able to use these techniques to help them to maintain control the next time that they experience a cigarette craving. Although smokers may have brief lapses whilst they are trying to quit, many people believe that it is easier to overcome these lapses when they use hypnotherapy techniques. This means that they do not just “quit quitting”. Hypnotherapy can be used along with other support services such as the NHS Stop Smoking service. Another benefit of hypnotherapy is that is can be used in conjunction with nicotine replacement therapy. Because hypnotherapy is a purely mental treatment, there is no concern about drug interactions occurring. Using nicotine replacement therapies in conjunction with hypnotherapy can help you to fight both the mental and physical symptoms of addiction and withdrawal. Hypnotherapy will not work for everyone. It is more likely to be successful if you believe that it will work for you. Hypnotherapy does not normally work for sceptics because they try to fight against the power of suggestion. Regardless of this, more and more people are choosing to try hypnotherapy because it is a natural method which does not fill the body with any additional chemicals.